One of the best things about the April blog challenge was that I found some new blogs and thankfully, they found me. One is Amy from Oklahoma whose blog is Afternoon Popcorn Snack. She shares recipes, pictures, and a little about her life, and who can’t use a little popcorn in the afternoon? And Amy has presented me with the ‘One Lovely Blog’ award, which is so nice of her. Thank you Amy. Seven things you may not know about me and this is tricky because you already know everything odd and strange about me from the fact that I once worked in a cemetery to the fact that I have eaten rather unusual foods. But I normally tell you all of the things I like or that I find humor in. 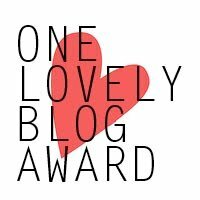 So for a change, and because this is called the ‘Lovely Blog’ award so I do not want to get too sappy, I am going to tell you some things I don’t like or are pet peeves. *I do not like fishing nor golf. In fact, the only thing I think would be worse that actually doing them, is watching them on television. I mean, what is up with the whispering and all of the dead air space. Yikes! If you love these two things, I am so glad. Someone needs to bait the hook and purchase the strange plaid pants that match the golf club socks or whatever that thing is called that you see draped over the end of the club. I have no hostility toward you, I just won’t be watching. *The worst thing I have ever eaten was seaweed soup. I don’t think it was prepared improperly as many Asians and Polynesians were scarfing it down faster than they could refill the pot. But I tried it. And I wanted to like it because none of the other Americans were even tasting it. I kept a brave face until I thought I might gag on my own smile and then had to admit I’ve washed dishes in water that was probably tastier – lemon scented anyway. Can’t do the seaweed. Won’t try it again – ever. *I don’t understand the concept of people refusing to use their turn signals. What do they think the rest of us are? Psychic? In possession of Oiuja boards? Those things that stick out from the steering column are more than places to hang rubber bands. They are called ‘Signals’ for a reason. Please show this post to everyone you know who doesn’t understand the concept. Thanks. *What is the gene that guys get that allows them to know the make and model of every vehicle ever sold and why do they think we all possess it? I figured out that a motorcycle I saw was a Harley Davidson as opposed to a Honda or a Kawasaki. I thought that was major. I was proud. Then I was asked what kind. My answer – blue? Why isn’t that correct? Please tell me. *Why are newspapers printed on overly large paper? They never fold back correctly and it takes all of the table space to spread one out. Then whatever story you are reading about, is continued on another section of the paper. And it won’t fold appropriately either. Why can’t they make them like church bulletins? *I get annoyed when people ask me something, then ask everybody else the same thing. If they weren’t going to believe whatever I told them, why did they ask me in the first place? *And my favorite takes place in the hospital. We’ve all been there – or at least most of us have. They worry when we don’t sleep. They give us sleeping pills. Then they wake us up every little bit to check things. So why administer the sleep aids? I don’t get it. So that’s my seven *cranky* things about me. Now back to the lovelies. Fifteen will be easy to do because I don’t follow blogs unless I like them – a lot. So I’m going witht the first fifteen I know accept awards as not all bloggers enjoy them. I could list more, but I need to leave a few for the rest of you to present yours to. I’m looking forward to learning seven new things about you – cranky or not – and to finding your picks for fifteen lovelies in your blogroll. And by the way – please uncheck the little box below the comments box if you do not wish to subscribe to the flow of comments appearing on this post. Otherwise, you will have a barrage of e-mails from ‘New Comments’. Thanks. Previous Previous post: What’s for Dinner? The Perfect Meal for the Kentucky Derby Weekend! Next Next post: Mother’s Day or Un-Mother’s Day? You are so right about watching golf or fishing YIKES — like watching paint dry! Thanks Elyse. I’m so glad I am not alone. Congrats to you! Okay, I have to admit that I love to fish. I like to be close to the water, look at the scenery, and be in a calm space in nature. I hate hooking those slippery devils and always let them go. BUT, I’m right there with you on the golf. I detest that sport. I refuse to waste a day sitting in front of a television screen pretending to focus on a ball that is flying through the air. The only thing worse would be standing on the course waiting for the players to arrive. I also agree about the seaweed soup, men and their cars, and I find myself saying the same thing about hospitals. I’m sure nurses hear that all the time. Enjoy your award! Well deserved. Thanks Annie. I love all the ‘nature’ things about fishing, just not the fishing. When my dad took me with him, I sat in the shade, read books and ate popcorn. That’s pretty cool! Fun post. Thank you for the award – and the other neat things about you. 🙂 I’m with you on the hospital giving sleep aids and then waking you up to ask how the sleep was … urgh! MJ, I knew you were my kind of gal – riding and eating – two things I’m good at! It seems you and I have several of the same pet peeves my friend! The signal thing and hospital and seaweek. GRRRRR As for the news paper i would say that it’s for people like me that can’t see however they make the print so small i still cant see it and forget trying to fine the right page to read the second part of the story! I will take your challenge woman! Oh yes I will! Oh my. Thank you for this. Just got home from my last day of finals and thought I would treat myself to blogging friends rather than start grading right away…I’ll do that after I sit back in this chair that swivels and rocks and let my friends know I haven’t gone AWOL. This is so very kind of you! Little did I know what would await me when I got home. I’m glad it was so perfectly timed. Isn’t that the way with things sometimes? Nice surprises. You are certainly welcome and more than deserving. I love all of the videos you post on your site. You are very welcome and very ‘lovely’. Enjoy. Renee, congratulations on your Lovely Blog award. And how very nice of you to nominate me! I’m practically verklempt! Seaweed soup sounds horrid, but I doubt it’s worse than eating aspic. OMG, now that’s gross. I should know. I was once invited to a formal dinner party and had to eat it. (Basically, it’s beef flavored gelatin) and I wanted to gag. I had to psych myself into eating it, in order to be polite, but I was dying inside. Good grief! That does sound pretty nasty. I remember seeing Amy Adams attempting it in ‘Julie and Julia’. Did not look appealing. But I don’t know, that seaweed soup was way out there. Arindam, you would have been a choice but I see you have posted a sign on your blog declaring yourself ‘Award-Free’. What happened? Did you get them all already? I’m kidding of course, but wish to respect your request. I still think your blog is pretty lovely though. Just saying…. No I did not get them all. 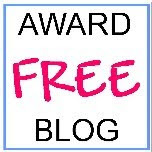 🙂 But the thing is that, with in last few months some bloggers pass on different awards to my blog, but then I have never seen them again in my blog. So I thought what’s the point of getting these awards, when someone passing on it to me with out even knowing me well. Then again for me these awards had importance because , I was thinking that, I could divert the traffic of my blog to fellow bloggers, whom I love & respect by passing on these awards . But to be honest somehow I realized that, no one bothers to click on the link of the blogs I nominate in my award acceptance post. So I thought of staying out of this part of blogging now. Very good points Arindam. I have tried to click on other sites and hope that anyone surfing through will do the same. That is the main goal I think – show appreciation and redirect a little traffic. I am saying this in a whisper but I don’t like golf or fishing, either. I’m saying it in a whisper because so many of my friends love both past times. Thank goodness you said it – now I feel less like an outsider. LOL. I hear ya Selma. And guess what else? We actually own a pond with fish in it. Yep. But have I ever fished there? Not even once. My dog likes to play in it though and the fish are like pets. They feel the vibration of us coming down to feed them and float right up waiting for treats. That part I like. Congrats! Thank you so much for nominating me. And the hospital thing. I’ve spent many a night at the hospital after surgeries and after awhile I’m begging the doctor to let me go home to recover so I can finally get some SLEEP. Sleep is the main thing that helps us heal and yet, here I am getting woken up every two hours. I am so glad I am not alone on these things. I think I might be cranky more often. Oh your seven things are great. Not cranky at all. Just sensible, if you ask me. I’ve never had seaweed soup. Now I realize I don’t need to ever have seaweed soup. Thanks for that. And thanks, too, for the reminder about the comments. Geez, that has been annoying, lately. It should have been on my cranky list. I didn’t even think of it until after the others had been written up. WordPress – we love ya but stop messing with us. 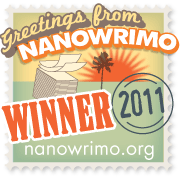 You very much deserve the Lovely Blog Award: you are gracious even in “crankiness”. I’m very honored to be nominated…and will have to put on my thinking cap. Crongrats and YEA you! I’m looking forward to your list. I bet it will be sassy and thought provoking. Enjoy your award. Thanks, Renee, for nominating me. I’ll have to think what to write about. I loved the seven things you wrote about. But it wasn’t cranky, just facts. I enjoy your posts so much and congratulate you on getting it! You deserve it! Thank you Maureen and you deserve it as well. Enjoy. As do you Wendy. Your links for writers are still my favorite. I hope others will click on the link and find your site too. Thanks so much for the nomination. I can think of another turn signal annoyance and that’s the person who DOES use their turn signal, but turns it on, say, half a mile ahead of where s/he intends to turn. And I’m waiting to pull out from the second side street after the one he’s closest to and rely on his/her signal to mean that a turn is eminent (or imminent, or ??? ), only to get almost clobbered. Yes, that’s too true. Correct use of the signal should be observed. Another example where there can be too much of a good thing. I loved all of your answers. Seriously, I’m laughing. I once had a job that involved me going to car lots to take photos of cars for used car ads. On many occasions I had to call the office to find out what type of car I was looking for. A Toyota Matrix…what? Sorry for all Matrix owners, I just didn’t know what it was. I do now! This proves my point. It’s in the genes. Thanks for sharing. Totally agree with the golf and fishing. BORING! Although I do like Mini Golf 🙂 I’m with you on the hospital thing, too. I hated it when I had my children and was so tired from all that hard work of giving birth and then those dang nurses just wanted to up and bug me all night long! I couldn’t wait to go home to all my small children to get some peace and quiet 🙂 Craziness. I like Mini Golf too. Now there’s some fast action golfing and nobody has to whisper when you putt! I’m with you on the turn signals – drives me crazy! And thanks for the reminder about the box – that is driving me crazy, too. Maybe it will be fixed soon. Let’s hope so anyway. Thank you for this award! And thank you for sharing some of your pet peeves…it’s fun to get to know people in a more complete way, and so often, we just post about the positives. Always good to vent a little! I’ll look forward to checking out the other blogs you are passing this award to, and look forward to finding new kindred spirits! Thanks again, Renee! Congratulations on the award, Renee. It’s well-deserved, and you handled it perfectly. Although I did start to feel a little sick reading about seaweed soup. And for what it’s worth, every car out there looks the same to me. We are indeed kindred spirits then. You are correct to feel sick about seaweed soup. It is not pleasant. And if the cars all look the same to you, I don’t feel quite as inept. Thanks for visiting.